I have been a full time wedding DJ pretty much since I left college. My aim is to offer the best possible service for your wedding. 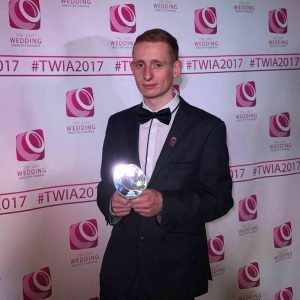 Im sure you have heard that many times, with my self I like to meet up with you both and talk about your wedding, put my full effort into your special day and keep in touch even after your wedding has completed. I meet all my bride and grooms before the wedding date so you can get to know me and I can get to know you. I feel the service then becomes more personal and I can give you that personal touch to your wedding. I include a confetti blast for your first dance in every single wedding I DJ. This is a thanks for booking with me, as anywhere else you would have to pay extra for this. You can also book me for your master of ceremonies as well as me being the DJ. Let me take care of all the announcements for you and make your day run smoother. From seating the guests, welcoming you both into the room, running the speeches, cutting the cake, first dance and everything else right till the very end. Because I love taking photos I also take photos throughout the day and evening for you and send them over only a few days after the wedding has taken place, just another little touch when booking with me. Client meeting: Our wedding package client meeting is very important to us and your self. Not only your DJ but also your wedding evening planner. Let us to plan your evening and take the worry away for your self. Confetti Blast: Booking us you will receive a blast on confetti for your first dance making your crowd wow and leaving you the best photos from your photographer. Photos throughout the night: We do our very best to get as many photos as we can from your evening. Please take a look at our gallery and Facebook albums. Every single photo you see was taken by us. Classic Wedding Setup or Modern Setup: We use our classic wedding setup or our modern setup, you choose and its included in our price. Both setups are very unique and clients love it. You put hard work into making the room look nice, we do too! 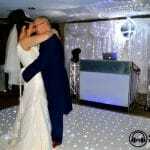 First Dance Lighting: Our lighting is computer programmed, which means we can give you the best possible light show throughout the night and the main part your first dance. 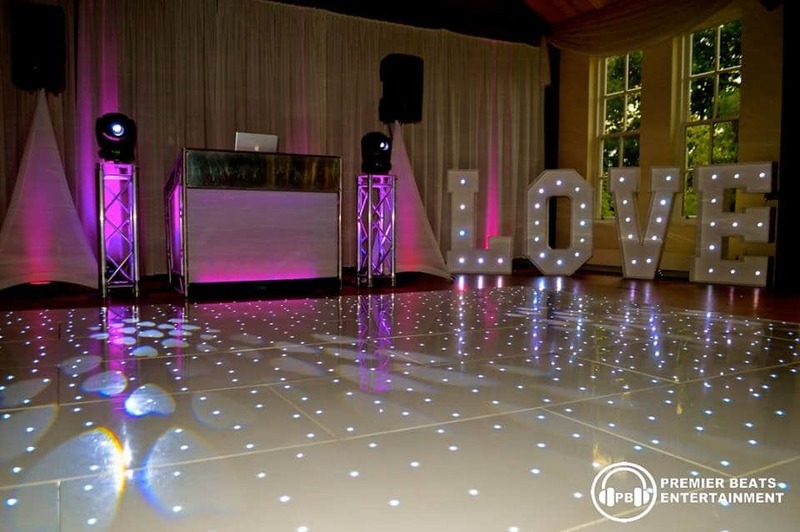 For your first dance we beam onto the dancefloor lots of rotating hearts set to a very bright white colour. Please view our gallery for photos. 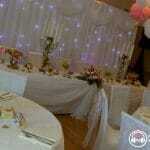 Our wedding package price starts from £350 depending on hours required if inside the west midlands. If outside the west midlands fuel cost will be added, we don’t add alot, sometimes only £10 or £20. 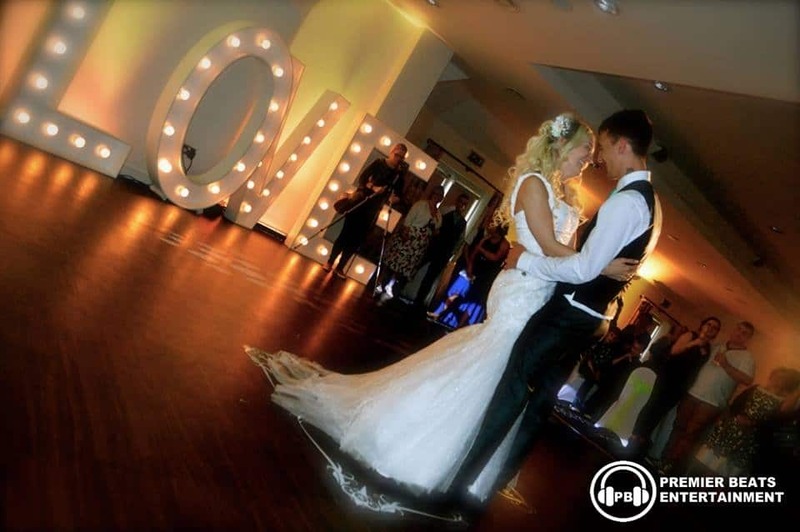 Our £350 starting price does not include the extra services we offer such as uplighting, LOVE letters and dancefloors. Discounts apply for Monday-Thusday & Sunday weddings. We also apply discounts for any wedding January to February every year. 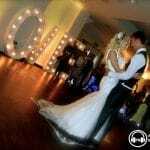 Please note our wedding DJ package normally starts from 7:00pm to 12:00am, if you want it starting any earlier such as 4pm there will be an extra charge. If you want our DJ service to finish at 1:00am there will be an extra £125 charge. 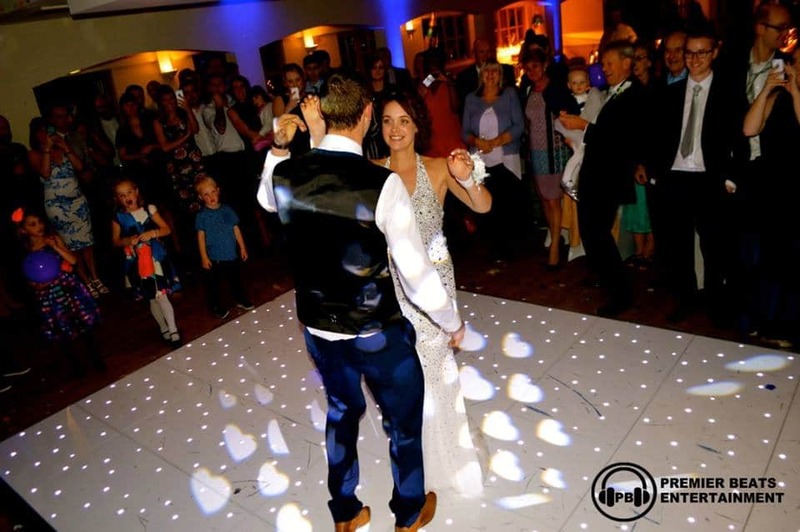 To book DJ Guy Partridge you must book a multi package such DJ & Starlit Dancefloor during peak wedding season. If your booking a week day Monday to Thursday you may be able to book without a multi package, please check with us first. 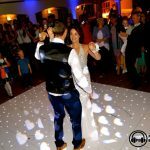 If your wanting to book a wedding DJ on its own during peak wedding season, we may be able to provide you with one of our professional hand picked djs, please contact us for details. Uplighting for your wedding gives your guests that wow effect when they enter the room. 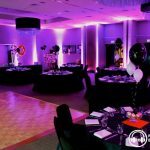 Our uplighting package includes a total of 18 high powered battery units to sit around your room or any pillars without any cabling running around your room. Having no cabling looks neat and more safety for your guests. Our uplighting is also very safe for children as LED technology is used making no heat to the units. Installing our uplighting into your room takes no more than 15 minutes. You can choose any colour you want or mix and match 2 colours. Our letters can be set to static, twinkle or chase. You can choose white or from a range of colours to match your room theme. 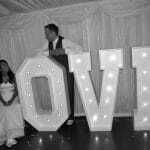 These letters are 1.3m high, not too big or not to small, they are just the perfect size for any venue. 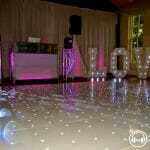 Now if you really want to dance the night away on the stars this is the thing to hire, a starlit dancefloor. 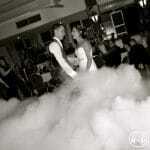 Not only does it make youthe best first dance photos but your guests will really wow, clients love it. 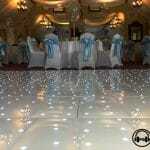 Our white starlit dancefloors can be set to any colour led you like, most popular colour is white led. Twinkling the night away at your wedding. Our backdrop is 3m by 6m as standard, if you need less than 6m in length we simply fold behind out of site any remaining cloth.